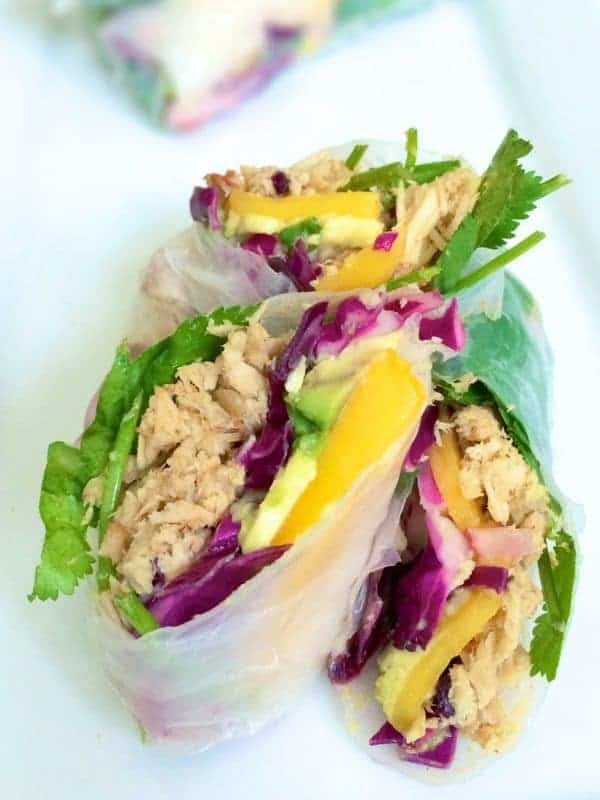 A fusion of Asian flavors, you are going to love this modern spin on the Vietnamese classic made with fresh mango, creamy avocado and juicy pulled pork. 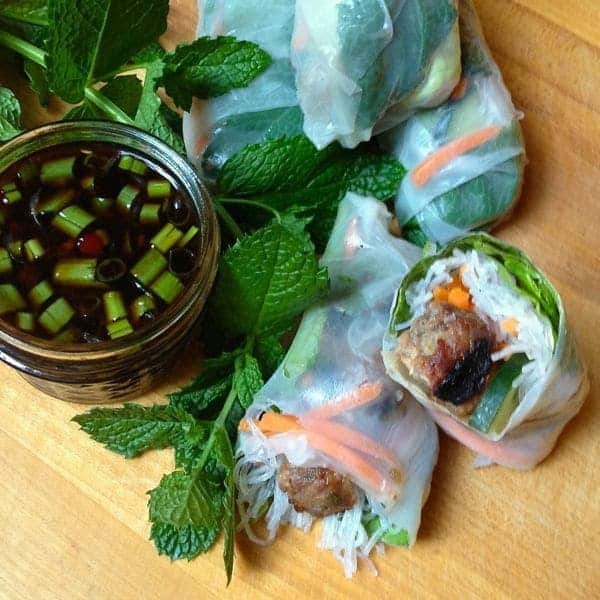 Fresh rolls have got to be, hands down, one of my favorite no-cook dinners in the summer. Even though they appear to be time intensive, you never have to turn on the oven or stand by the stove which is always a plus this time of year. 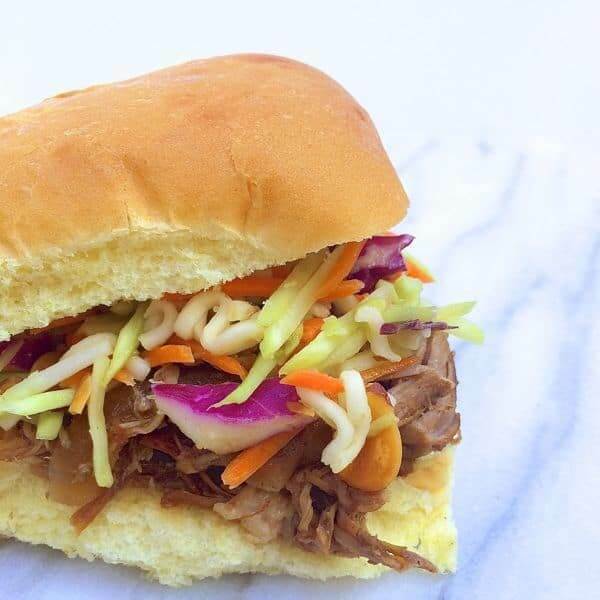 Typically, I make these with pre-cooked shrimp but recently I had leftover Asian BBQ Pulled Pork to use up so I decided to give them a spin..er..roll. 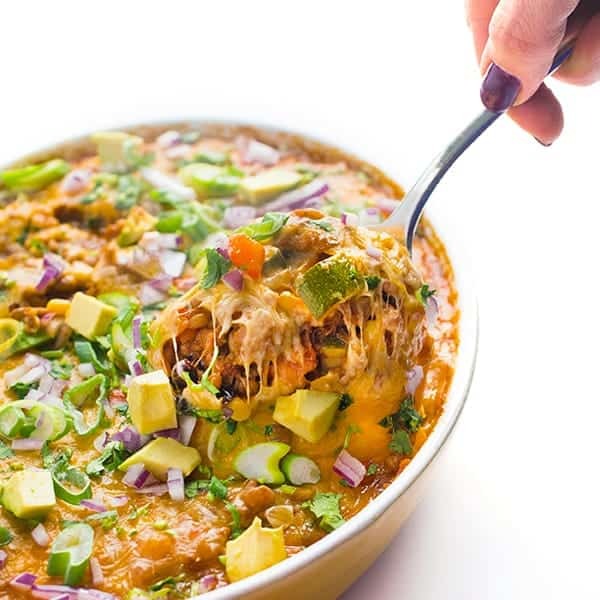 Ripe avocado and sweet mango balanced out the tangy, slightly spicy pork in ways your mouth could never imagine. People often tell me they love fresh rolls but are afraid to make them at home. Admittedly, they take a little practice (I’ve been rolling them since I was 5 years old!) BUT, the biggest tip is to avoid over-soaking the rice paper in the warm water. An easy trick to remember is to think of the round sheet as a steering wheel and hold it in both hands with the bottom half dipped in the warm water. Working clockwise, move the wheel around one time then move to a plate to fill and roll. If you soak them for more than 5-6 seconds, they will tear and you’ll get frustrated and potentially start crying. And we don’t want that to happen, do we? Whisk together dipping sauce and set aside. 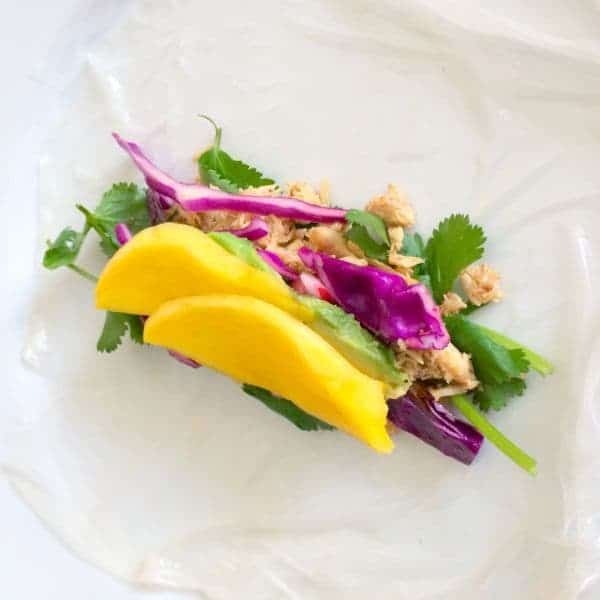 Working from the center of the roll, add a couple tablespoons of shredded pork then top with a little shredded cabbage, two avocado slices, two mango slices and a few cilantro sprigs. I made these tonight and they were delicious, but I have one question, do you really need to boil 8 cups of water? I used a very small fraction of that, plus I was wondering if I could have just used hot water from the tap so I didn’t have to wait for water to boil. Just looking for ways to make it (even) easier! Oh my goodness Liz, these are yet another fresh rolls I need to make, what is taking me so long?!? These look absolutely fantastic! PLEASE make these!! You won’t regret it! These look totally irresistable! I LOOOOVE the pulled pork with the mango and YAY no oven! It was so good Sophia! 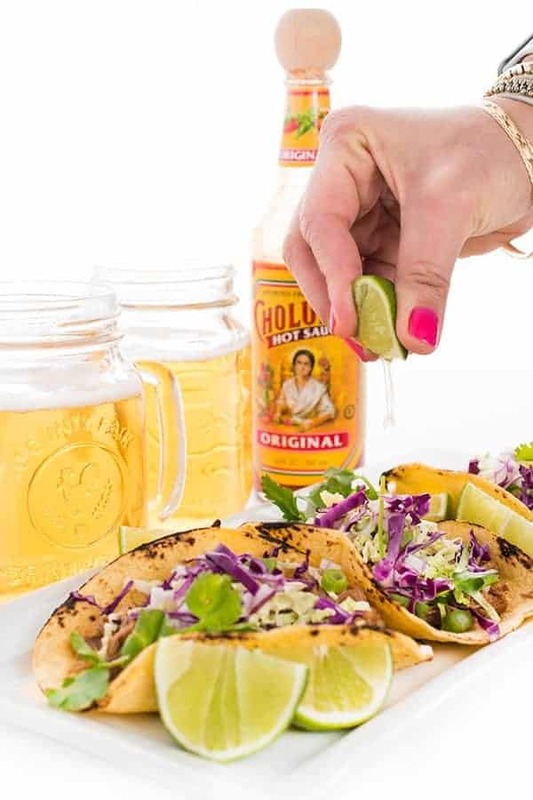 I love the flavors in this–great idea Liz! 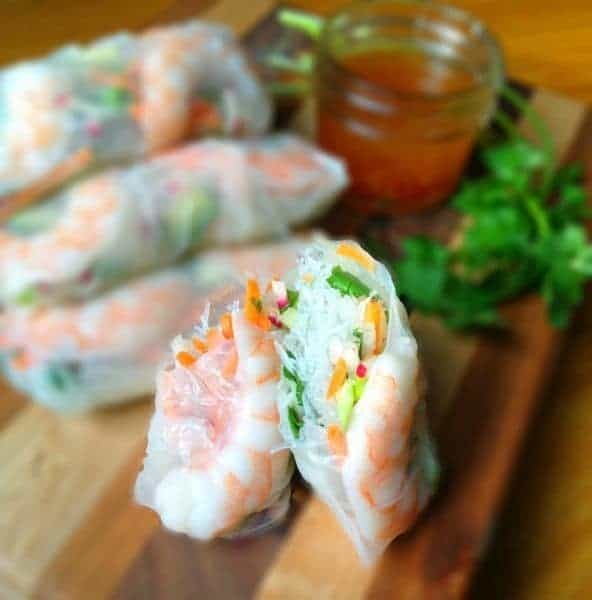 My husband loves fresh rolls and these look great!! They are seriously one of my favorites!! one word.. wow! these look incredible liz, love the mango addition! Wow these look so delicious, especially love the addition of mango! This is my kind of dinner! So great for summer! You and me both Bri! 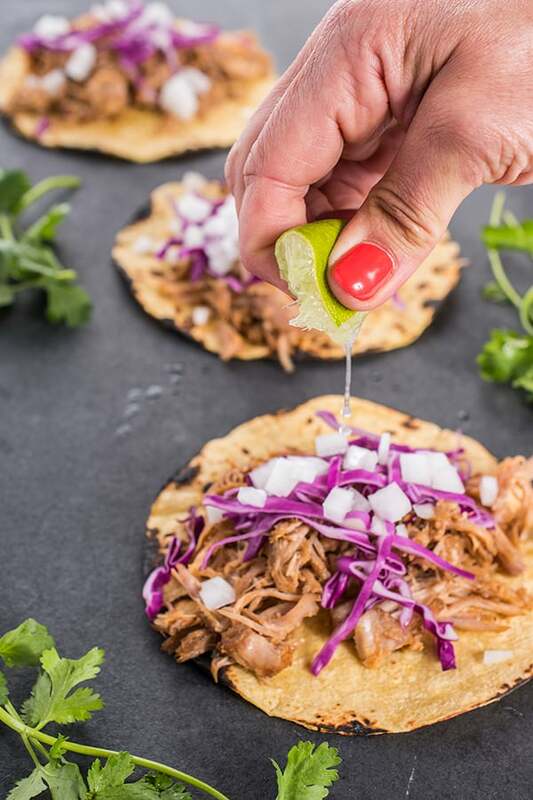 Pulled pork & mango were made for each other. I adore these fresh rolls! Those fresh rolls with pulled pork look delightful! Mmm, sounds so yummy! 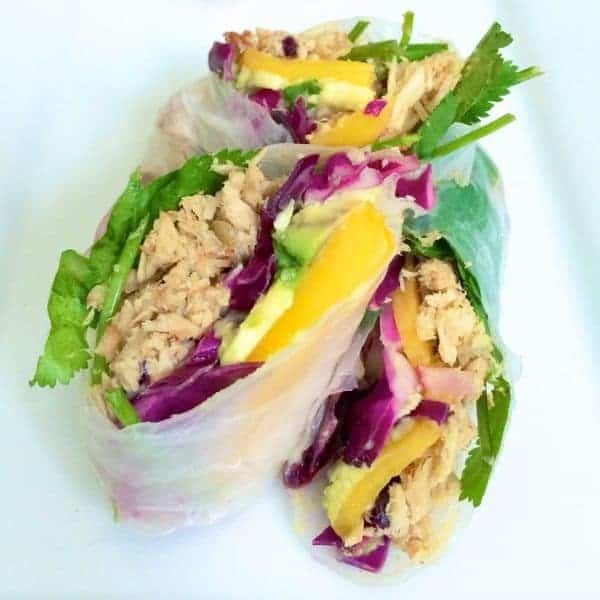 Love the avocado and mango in these Liz! I couldn’t resist adding them! !